We're working on a new music-powered episodic adventure game called "Maestros Of The Anthymn". It's set in a world called Chora, where magic is literally powered by music, tone, rhythm and sound. If a bird chirps in this land, it could literally cut your face. You play as Tiarnen Strathtone, one of the Maestros of Chora's seven distinct provinces who must unite each of the musically distinct provinces before the onset of civil war. 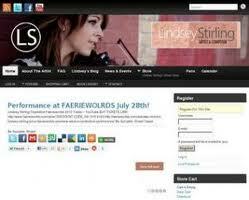 If you love Lindsey's awesome classical-hybrid music and ethereal visual style, we think you'll be right at home. ps: If you're watching, HI LINDSEY! !